Should I Go to Outpatient Addiction to Opiate Treatment? What Are the Benefits of This Type of Opiate Addiction Treatment? Deciding about opiate addiction treatment options is difficult because the amount of choices that need to made is overwhelming. The best thing a person can do is research the options and to rely on experts and close friends to assist them. 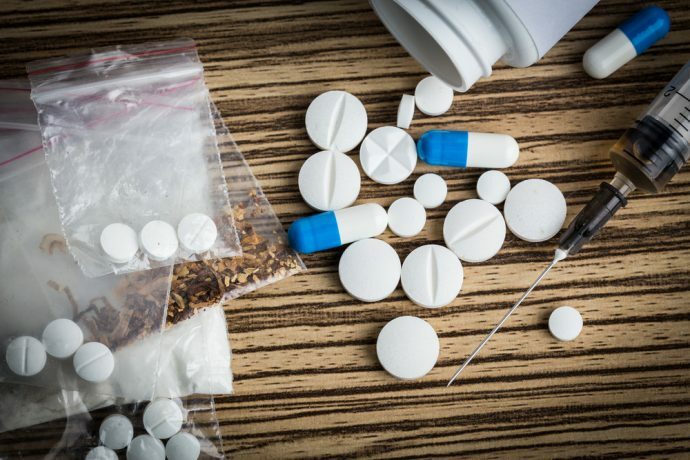 Otherwise, taking these things on independently while a person is still using opiates can lead to some poor decision making, which can undermine the effectiveness of the addiction to opiate treatment. One of the first major decisions will be between inpatient and outpatient care. This is an early decision that will narrow the facilities you can go to considerably. What Is Outpatient Opiate Addiction Treatment? Outpatient addiction to opiate treatment asks patients to arrive at the rehab for scheduled sessions, like education, therapy, or support group meetings. These can often be arranged to accommodate a patient ís responsibilities. When the sessions have ended, participants are free to go about their daily life. Outpatient opiate addiction treatment is an ideal option for people whose responsibilities make attending an inpatient center an impossibility. For example, people who cannot be absent from work or school attend outpatient care. Also, people who have children to raise or familial responsibilities also choose this type of treatment. It is also a great choice for people who need constant access to their support system. Without daily contact, these people may drop out of an inpatient center that requires such distance. Additionally, this type of care is less expensive than the inpatient option. Is Outpatient Care Better Than Inpatient? According to the National Institute on Drug Abuse, ìno single treatment is appropriate for everyone. There are several factors that determine the type of treatment that will enable you to achieve positive outcomes. Treatment and services need to meet a patientís needs. Should I Go to Inpatient Addiction to Opiate Treatment? What Are the Benefits of This Type of Opiate Addiction Treatment? Most people think of rehab the way that it is presented in movies and on television. They imagine a 28 day stay in a treatment facility with dormitory housing and shared meals and treatments. This type of program is what is called inpatient opiate addiction treatment. One of your first decisions when you decide to go to addiction to opiate treatment will be whether you should attend inpatient or outpatient treatment. It will be a good idea for you to do come research and to consult with people that you trust to make good decisions. The following discussion should give you a good starting point for thinking about inpatient rehab. What Is Inpatient Addiction to Opiate Treatment? Also known as residential rehab, inpatient care requires patients to live at the facility for the entire length of their treatment. From the point of intake until the final moment of care, patients are not allowed to leave the facility without the express permission of the treatment center. What Are the Benefits of Inpatient Opiate Addiction Treatment? If you, like many other opiate users, live in an unhealthy environment that triggers or promotes your drug use, it may be a good idea for you to have a break from it. An inpatient treatment arrangement allows you to remove yourself from your regular life and its stresses. Instead you get full support from peers and staff during this difficult time. Also, inpatient treatment is a drug- and alcohol-free setting, which means that cravings canít be satisfied, the way they would if you were in outpatient treatment. This can be what you need to initially cements your abstinence from substances. Does Inpatient Care Offer Better Results Than Outpatient Options? It depends. For some people, inpatient treatment is the best choice; others may do better in outpatient care. As the National Institute on Drug Abuse writes: ìno single treatment is appropriate for everyone.î When you do more research, keep in mind the way that you work and the methods you respond to and pick the option that you are more likely to respond to positively. Are There Spiritual Addiction to Opiate Treatment Centers? Should I Consider Opiate Addiction Treatment That Caters to My Religion? There is a tendency among deeply spiritual people to feel like addiction is not only a personal failing but a failing of their higher power. For these people, a spiritual or faith-based opiate addiction treatment program may offer the best outcomes because it addresses something that is central to their identity. These programs help people with the symptoms and struggles associated with their addiction as well as helping them to strengthen or return to their faith. What Is the Philosophy Behind Spiritual Addiction to Opiate Treatment? Faith-based opiate addiction treatment centers approach addiction and the problems associated with it from a spiritual position. They generally believe that substance use id committed in an attempt to fill a void caused by damaged or absent spirituality. By inviting God or a higher power into their lives, people fil that void and in doing so remove the need for their substance abuse. These programs are designed for people who follow a specific faith and teachings will be structured around that. People who do not follow that faith may find themselves being actively converted in one of these opiate addiction treatment facilities. A spiritual program increases these positive attributes and helps patients to maintain them. Visit official site to learn more, to help someone in need of recovery.